The project was to identify all of the pool plumbing issues and trace the lines. Then we installed all new swimming pool equipment including a Raypak 406A heater, a new Pentair variable speed pool pump, a Pentair Clean & Clear Plus 420 sq ft cartridge filter, a Jandy TruClear salt water chlorine system and all new plumbing and valves. This La Mesa swimming pool was built many years ago though it was never finished. It needed a pool finish which they went with a nice pebble sheen product that will last for years and it also needed the new pool equipment. Because the pool was built so long ago the new home owner did not build the swimming pool, tracing the plumbing was unique. 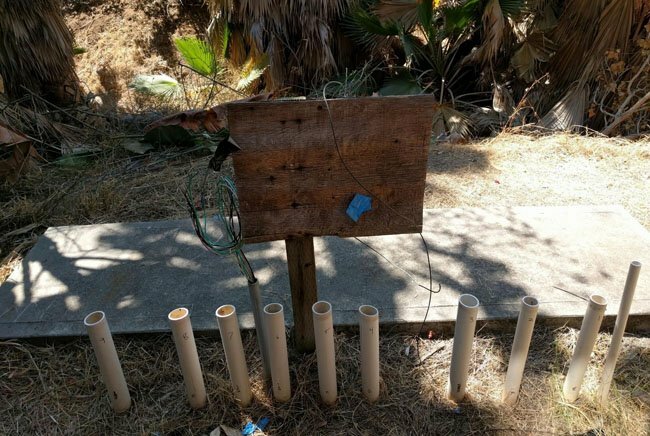 After finding and resolving all of the pool plumbing repairs that were necessary, we were able to label all of the pipes and layout a design for the installation of new swimming pool equipment. The Raypak pool heater we installed was the best fit as he had there was plenty of space for the new heater and we know this heater is the best pool heater depending on your pool equipment installation factors of space and area. Raypak pool heaters are vary reliable and this version of pool heater has a great record for lasting. 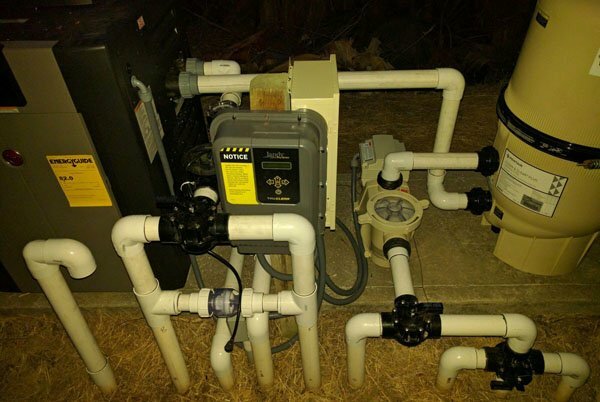 The new variable speed Pentair pool pump installation was requested by this La Mesa home owner so they can save money on the electrical usage. Due to the state of California passing the “Title 20” law stating that unless you are installing a pool pump with a service factor of 3/4 hp or less, it is a state law to replace your pool pump with a variable speed smart pump. These pumps are very efficient and depending on your pools features, this pool pump saves you money. There was also the need for a spa booster pump so we installed a Pentair single speed 2hp pool pump as booster pumps, jet pumps and water featur pumps do not need to be variable speed only pool filter pumps. We ran the variable speed pool pump power source into a new electrical time clock installation. The pool filter installed is a Pentair Clean & Clear Plus 420 as we prefer cartridge pool filters over D.E. pool filters. D.E. pool filters are more messy to clean and with cartridge pool filters regardless if the home owner or pool cleaning technician is cleaning the pool filter, it makes it much easier and less debris is left after cleaning. We choose to install the new Jandy TruClear salt water chlorine system as it is a very good salt system at a great price. All of the pool plumbing installation was plumbed to be operated manually as the customer was thinking about installing new pool automation though was not ready to decide on what he wanted. With the new pool equipment installation we performed, it leaves access to install the pool automation at a later date without having to do anything with the existing installation we laid out. We used a few three way Jandy valves, a 1.5 inch clear spring check valve and a Jandy swing check valve in the plumbing to properly direct and stop pool water flow when necessary.